I was really late for the hype train, but here I am! Synopsis (goodreads): The nation of Panem, formed from a post-apocalyptic North America, is a country that consists of a wealthy Capitol region surrounded by 12 poorer districts. Early in its history, a rebellion led by a 13th district against the Capitol resulted in its destruction and the creation of an annual televised event known as the Hunger Games. In punishment, and as a reminder of the power and grace of the Capitol, each district must yield one boy and one girl between the ages of 12 and 18 through a lottery system to participate in the games. The ‘tributes’ are chosen during the annual Reaping and are forced to fight to the death, leaving only one survivor to claim victory. I was happily suprised with this book. I thought that I would be a little too old and miss the whole love for this book and series because of that, but I really enjoyed it. The whole apocalyptic world was very interesting and the whole concept of a battle to death in an arena was very entertaining. The arena that could be influenced from the outside, changing climates, creating weather, dropping packages, was really entertaining to me. I sometimes struggle with imagining worlds that are (post-)apocalyptic, but Panem was explained clearly and created a good image in my head. The characters were very well written. Katniss is a brave and strong girl who never gives up and takes care of her family. I felt like I really got to know her and got to understand a lot of her thoughts and actions. 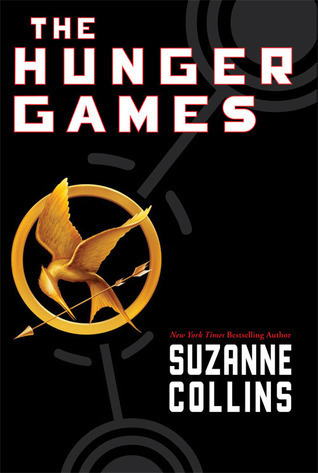 Suzanne Collins also did a great job on the other characters of the book. Although not every person had a big role in the book, I still could make a profile of everyone. My favorite character was Rue, who is a 12-year-old girl that Katniss gets close with in the arena. And of course Peeta. In the beginning it annoyed me a little that Katniss was so distant to him. He was really nice, but Katniss just didn’t want to have anything to do with him. They get really close eventually, but I actually had hoped they got together earlier. I expected more of the Peeta & Katniss love. Also Peeta was sick and hurt the entire time they were together. Maybe he could have been stronger, so there would have been some more action. Overall it was an exciting story, with a lot of action and fighting. I am curious about the next books in the series. I give this book 4/5 stars.